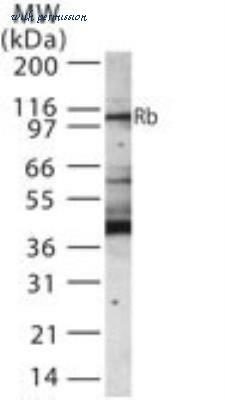 The Rb antibody from Proteintech is a rabbit polyclonal antibody to a recombinant protein of human Rb. This antibody recognizes human,mouse,rat,zebrafish antigen. 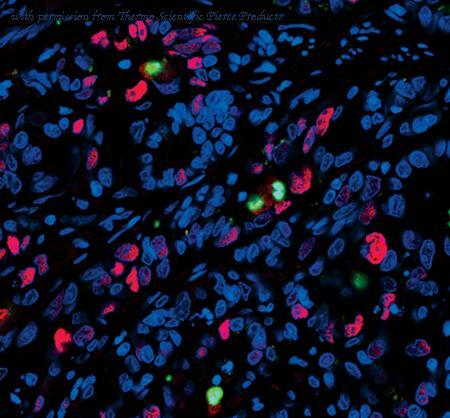 The Rb antibody has been validated for the following applications: ELISA, WB analysis. Western Blot: RB1 Antibody [NB100-56888] - Analysis of Retinoblastoma 1 in 30 ugs of Jurkat cell lysate using NB100-56888 at 1:1000 dilution. 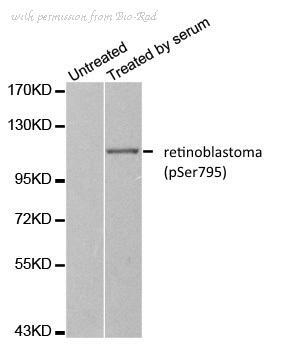 Western Blot: cleaved Retinoblastoma 1 [p Ser807] Antibody (SR3-82) [NBP2-67338] - Analysis of Phospho-Rb(S807) on A549 cell lysates using anti-Phospho-Rb(S807) antibody at 1/1,000 dilution.